IDEAS CITY, is a biennial festival hosted by The New Museum investigating how art and culture are the essential pieces for the future health of cities. The theme for this year’s festival was Untapped Capital, urging participants to explore the under-utilized or under-recognized resources and potential within cities ( welcomingly open ended ). 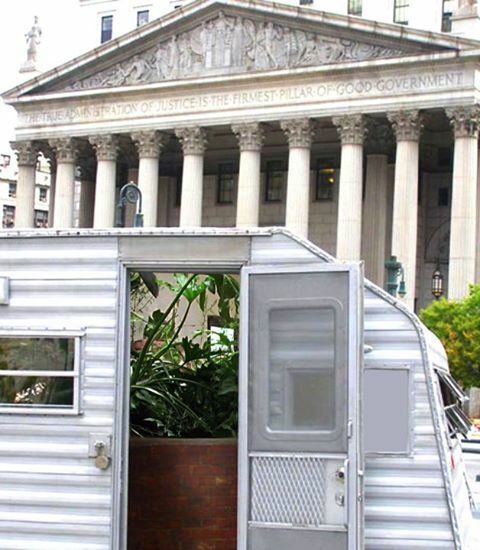 Kim Holleman is one of the featured artists, and she has re-contextualized a run of the mil mobile trailer into a ‘park’. 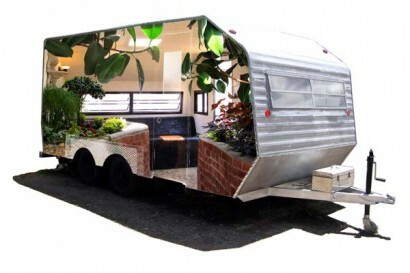 How the play on words of a trailer park has been overlooked for this long is surprising, however Holleman’s ideas is a pure example of integrating nature into an urban environment. 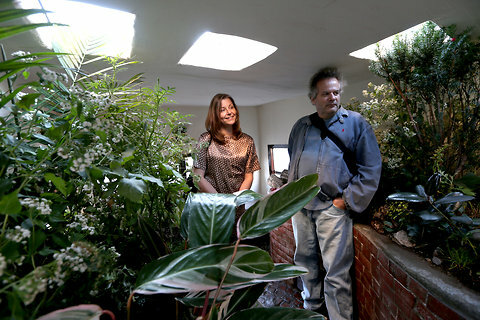 Holleman chooses native plants that require low levels of sunshine and water.